As I walked into the office this morning and looked at our desks, I had to smile. 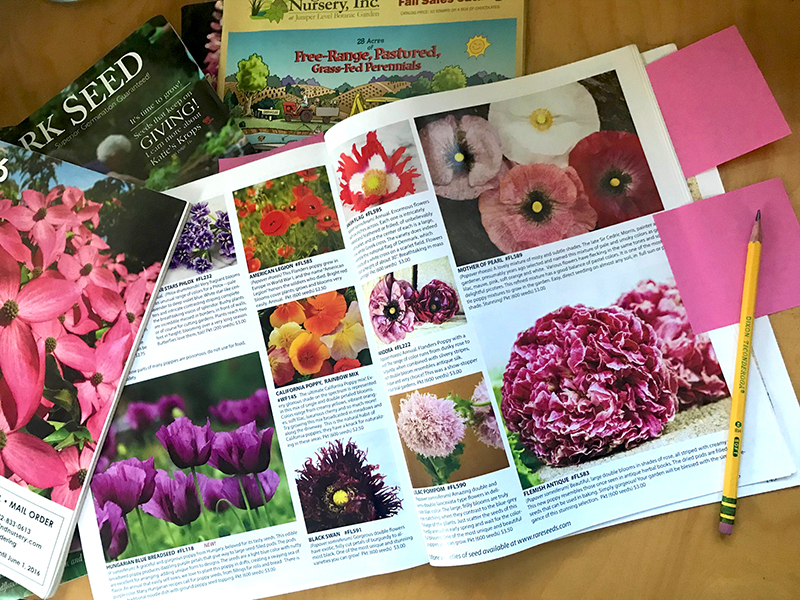 Peeking out from the heaping piles of Carharts, gloves, and scarves were bright glossy images of impossibly perfect flowers gracing the covers of innumerable catalogs. Ah the promise of spring, just as surely as snowdrops poking through the late winter snow. With the un-wrapping and processing of Gardens Aglow lights mostly behind us, we now turn our sights to one of my most favorite times in our year: next season’s garden designs. So the process begins… digging out catalogs and converting dreamy thoughts into concrete design. What color and texture combinations will inspire? How to incorporate and enhance my existing gardens with my choices? What is the right balance of perennial to annual plantings this year? What new cultivars are available and which would work in my combinations? Do I have a good ratio of workhorse plants to showy but brief ones? My list narrows as I research, create, and edit combinations, incorporating old tried and true friends with some experiments. I even take advantage of a warm winter day to walk my gardens, envision some of my combinations, and take a few measurements in areas I want to develop. Part of this process involves allowing myself a little project of sorts by choosing a plant of focus for the upcoming season, and this year it is the irresistible poppy. It is one of those rare plants that offer endless options of color, texture, and shape, and I find it almost impossible to narrow my choices. 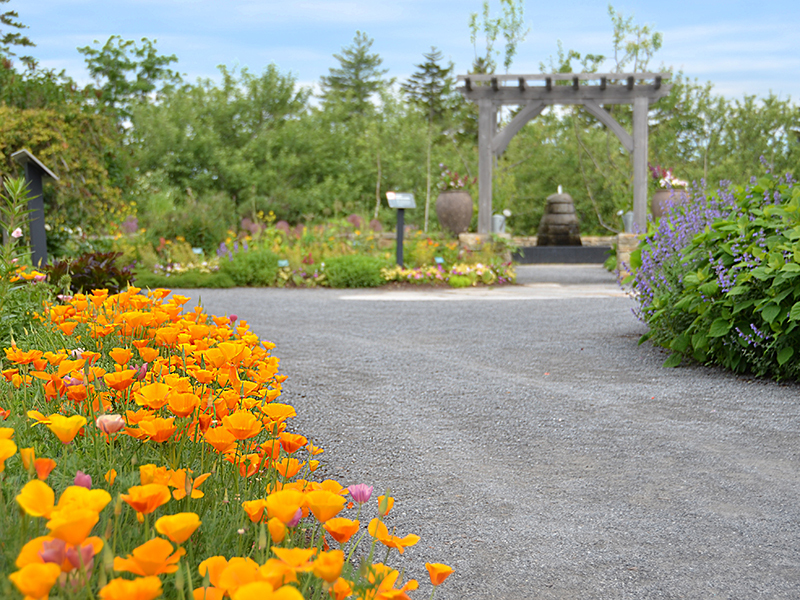 I finally settle on an interesting mix of common, Icelandic, and California poppies, each made special and unique by its color – such as ‘Black Swan,’ a poppy that is well named for its almost black color, or ‘Pink Bicolor,’ with its delicate tissue-like foliage and elegant soft pink shade. I have done very little propagation of poppies so it will be a fun spring project, growing them and hoping that they will be the stars of my garden show this year. With plant decisions made and combos committed to, I add my list to our plant orders and wait…and wait and wait! California popppies lining the walk towards the Kitchen Garden Terrace.